Gov. Mitt Romney has apologized for referring to the city's troubled highway commuter tunnel project as a "tar baby" during a fundraiser with Iowa Republicans, saying he did not know anyone would be offended by the term some consider a racial epithet. In a speech Saturday, Romney, a Republican considering a run for president in 2008, acknowledged he took a big political risk in taking control of the project after a fatal tunnel ceiling collapse, but said inaction would have been even worse. "The best thing politically would be to stay as far away from that tar baby as I can," he told a crowd of about 100 supporters in Ames, Iowa. "He thinks he's presidential timber," Jones said. "But all he's shown us is arrogance." 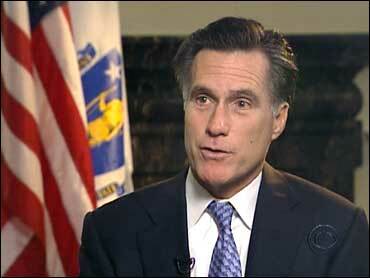 Romney's spokesman, Eric Fehrnstrom, said the governor was describing "a sticky situation." "He was unaware that some people find the term objectionable and he's sorry if anyone's offended," Fehrnstrom said. White House spokesman Tony Snow sparked similar criticism in May when he used the term in response to a question about government surveillance.